Shehan Goonesekera is a Senior Investment Analyst who joined Anacacia Capital in 2015 and transitioned to consulting part-time from January 2019 while doing some extended international travelling. He is responsible for a range of activities including unit pricing, assessing investment opportunities and helping to research, analyse and conduct due diligence on, and subsequently support, investee companies. Shehan previously worked at Lonergan Edwards & Associates for 5 years as a Manager where he was involved in providing valuation advice and experts' reports, primarily for public listed company transactions. He was also the Chief Investment Officer at Investing for Charity for 2 years. 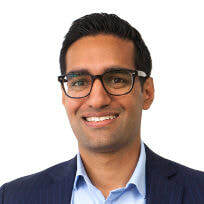 Shehan has a Master of Finance from UNSW and a Bachelor of Applied Finance with Bachelor of Commerce-Actuarial Studies from Macquarie University, and is a CFA Level III candidate.